I think we all wonder exactly what the judges are thinking when they look over your book. They sent me not only their rating scales, but the actual ratings and the narrative submitted by the judge. Books are evaluated on a scale of 1 to 5, with 1 meaning “needs improvement” and 5 meaning “outstanding”. This scale is strictly to provide a point of reference, it is not a cumulative score and does not reflect overall ranking. Ratings are not tallied, and are not reflective of placement in the competition judging. Our system only recognizes numerals during this portion of logging evaluations. As a result, a “0” is used in place of “N/A” when the particular portion of the evaluation simply does not apply to the particular entry, based on the entry genre. For example, a book of poetry or a how to manual would not necessarily have a “Plot and Story Appeal” and may therefore receive a “0”. A rating of a “0” does NOT indicate a low rating. *If you wish to reference this review on your website, we ask that you cite it as such: “Judge, 2nd Annual Writer’s Digest Self-Published eBook Awards.” You may cite portions of your review, if you wish, but please make sure that the passage you select is appropriate, and reflective of the review as a whole. The cover image is spectacular, with great colors and a sense of magic. Well done. 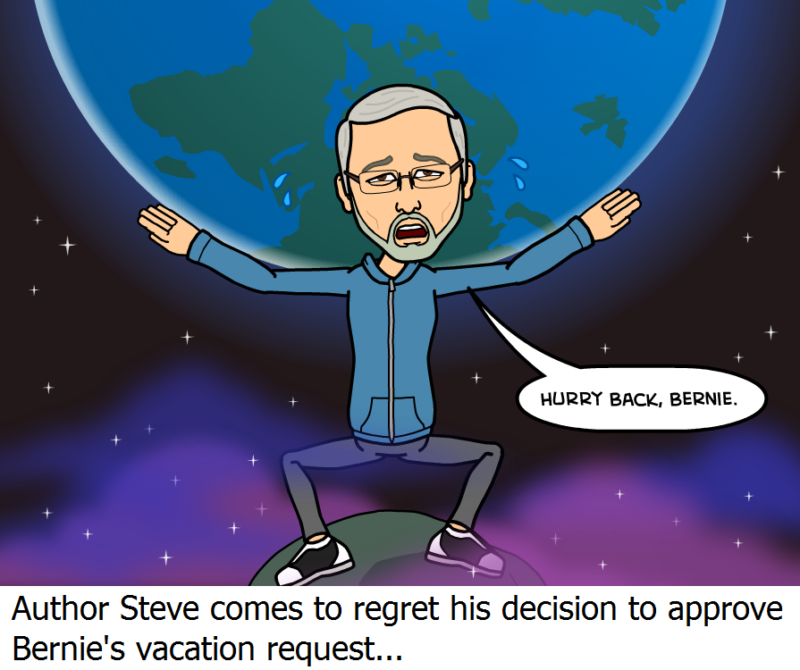 The author does a beautiful job throughout of describing the nature elements in Bernie’s world, letting the reader see the lushness of it when it’s in its glory, and also the devastation of it thanks to Billy’s sabotage. We get textures, colors, scents – it’s wonderfully done, and brings great realism to the reader’s experience. It’s great to have the interaction with the slither so that the reader sees that this is not ordinary nature, but one inhabited by mystical and unique little creatures. Well done. Excellent correlation to the YA reader’s world with the challenges and pressures of schooling, judgment, tests, etc. We sense that pressure of performance and measuring up to a super-achiever who came before us, in this instance Bernie’s father. He has a lot to live up to, and the author does a great job of bringing that to life throughout the story. Giving Suzie a sparkling aura is another stamp of magic in this story, and creates a layering of her characteristics. Excellent elements of science, physics, astronomy, appealing to the like-minded reader and adding an organic and authentic appeal to the story. Watch out for repeats. For instance, it says twice ‘strange things happened near him’ two times in one paragraph. Reader isn’t sure if repeat is intentional, or a missed edit. We follow his goals and motivations well, and we’re angered at Billy’s jealousy and sabotage, hoping for him to get his karmic kickback, which satisfyingly happens. We experience dread, but we believe in Bernie, and the twist of him creating a duplicate world that Billy has sabotaged is a great surprise and delight. 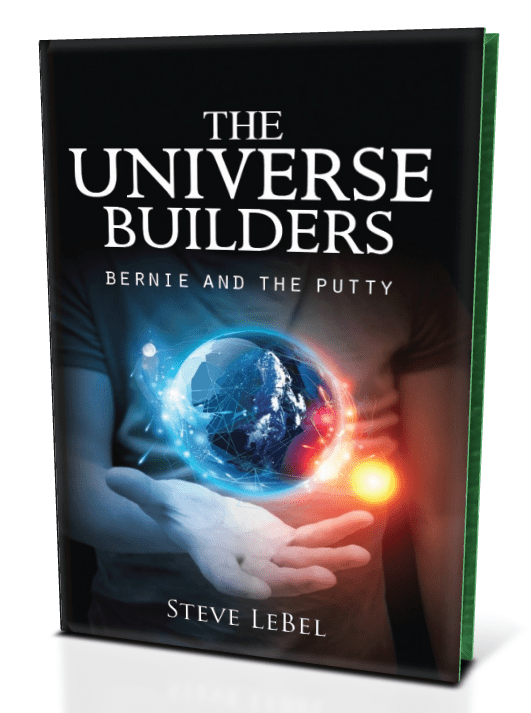 We’re cheering for Bernie throughout, and we’re happy to see his genius recognized and rewarded, while still accepting the reality of what happens when a universe/planet experiences disasters and ruin. Very gritty and raw, and a smart inclusion to rev up the reader’s experience. Excellent and unique – author hasn’t copied the model of any other popular YA book franchise, which is very welcome to the reader. It’s layered and sensory, dialogue is terrific, pacing is spot-on. Excellent read. Note: Are you wondering how my book did in the Writer’s Digest Book Contest? Click here to find out.